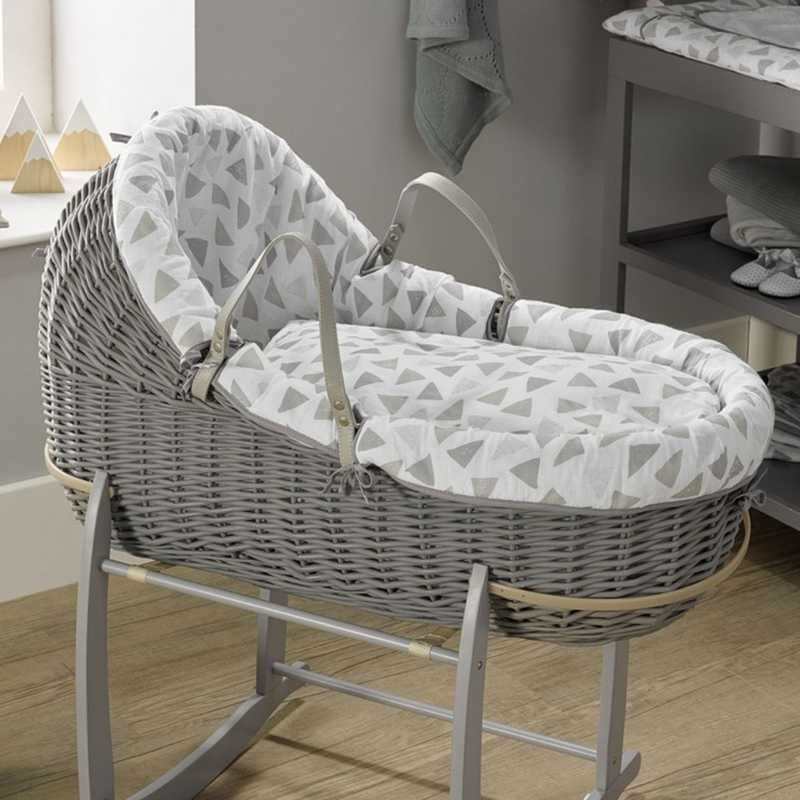 With a beautiful design exclusive to Clair De Lune, the Willow Bassinet blends the traditional Moses Basket shape with the popular, more contemporary Noah Pod design, resulting in a stylish and elegant amalgamation of the two. 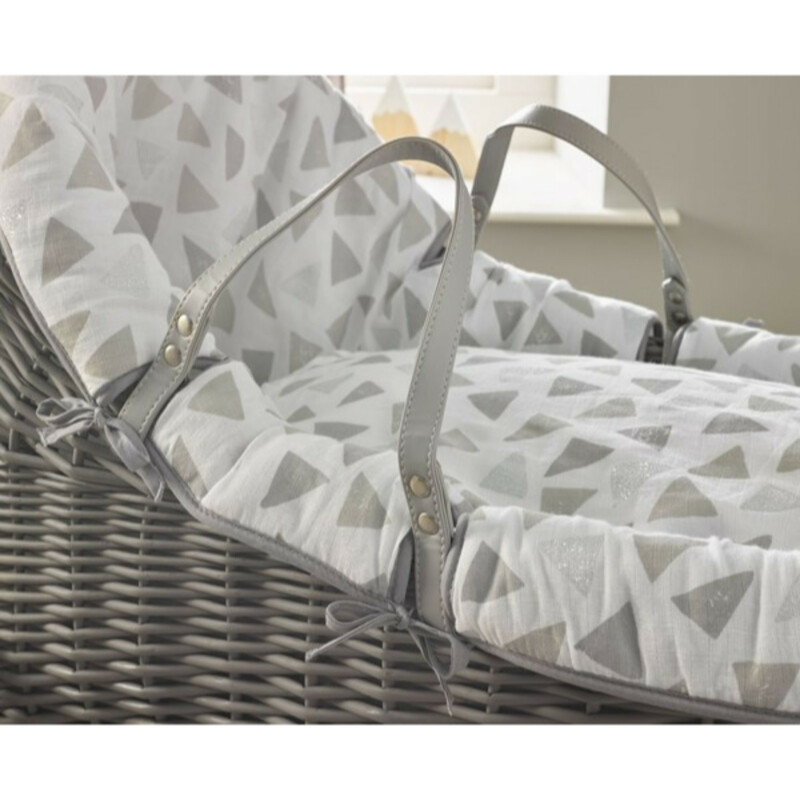 Made from a strong natural wicker and lovingly hand-dressed in the UK, the Willow Bassinet features luxurious fabrics, a padded liner and a sumptuous mattress to make baby’s first bed a place of comfort, security and tranquility. 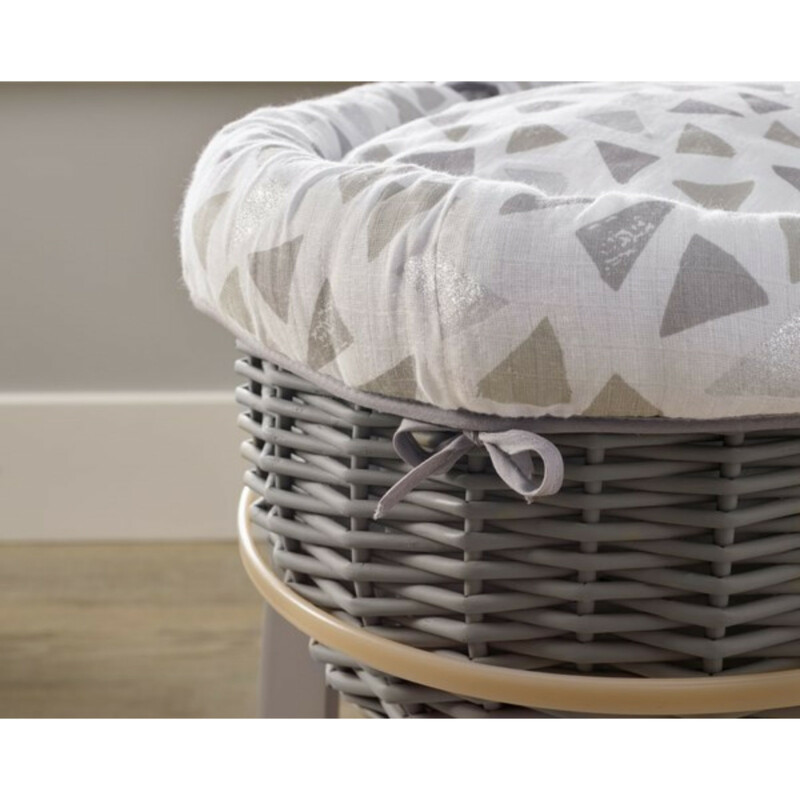 The leather handles offers the Bassinet excellent portability, meaning that the basket can be transported from room to room with ease without the need to disturb baby. 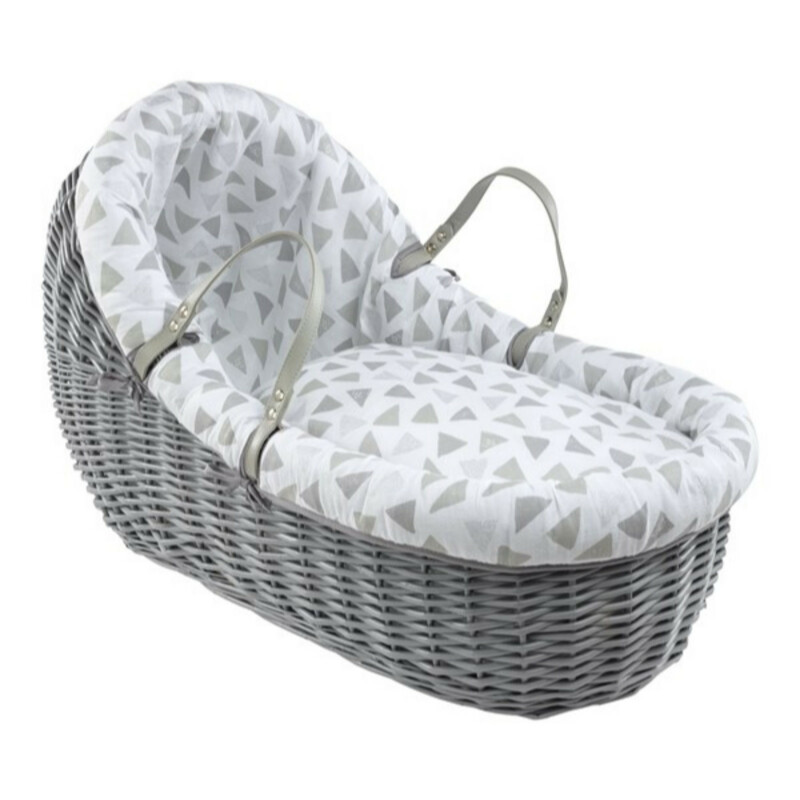 Featuring a unique geo-triangle print with a hint of glitter, the Sparkling Muslin Willow Bassinet is the epitome of style and quality.